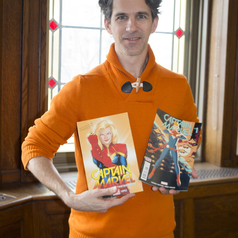 The Captain Marvel/Carol Danvers character was originally created in 1968 by Thomas and Gene Colan as Ms. Marvel, but the Captain Marvel we’ll be seeing on the screen is highly indebted to comic book writer Kelly Sue DeConnick’s narrative. There are even rumours that DeConnick has a cameo in the film. DeConnick’s run was poignant and hilarious and if the movie can keep pace, audiences will be in for a treat. We may also see something special from her cat Goose. 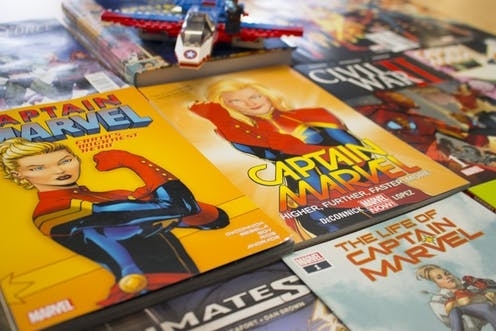 In the comics, Goose is Chewie (Captain Marvel is a huge Star Wars fan). Chewie will likely steal a scene or two.